If you thought today’s televisions were thin, wait until you have a look at what Sony has up its sleeve. The Japanese electronics giant is preparing to launch a duo of UHD TVs this summer that – at their thinnest point – are slimmer than the iPhone 6, measuring just 0.2 inches thin. The two sets in question are the 55-inch and 65-inch X900C and the larger X910C at 75 inches. Both models feature panels that stretch nearly edge-to-edge although as Mashable notes, they aren’t quite as “bezel-less” as some of Samsung’s recent offerings. The upper half of the sets will be the thin areas while the lower section will protrude a bit as this is where components like HDMI and USB ports are housed. Even still, Sony said these new 4K (3,840 x 2,160) sets will be able to mount incredibly close to the wall. Both models will carry Sony’s new X1 processor which is said to offer a wider range of displayable colors and increased brightness. As you know, there isn’t a wealth of 4K content available just yet meaning much of your consumption for now will happen via upscaling. These being smart sets, you’re probably envisioning crummy custom UIs that are painfully slow. 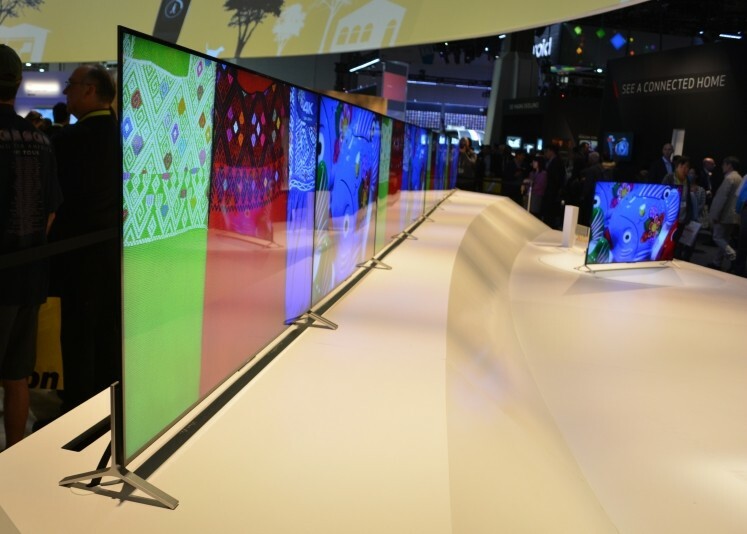 Not so, says Sony, as its new televisions will run Google’s Android TV. This will deliver full access to streaming services like Netflix, Hulu Plus, Amazon Prime Instant Video and more. Sony’s game streaming service, PlayStation Now, is also baked right in. Unfortunately, Sony hasn’t yet revealed pricing information.